We would like to introduce our newest product, which can convert from PAL or NTSC Video to PAL or NTSC RGB. The PAL or NTSC Video to PAL or NTSC RGB Digital Converter is extremely useful for car navigation monitors as well as for products from a wide range of other industries. 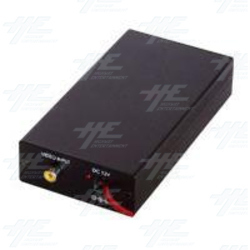 This converter features advanced multi-directional technology that sets it apart from other converters which are limited to single direction conversion. This model boasts the ability to convert a PAL input to a NTSC RGB output. Inputs the unit accepts are NTSC, N4, PAL, PAL M, PAL N and SECAM. Its outputs are NTSC or PAL. The output can be selected by changing the switch setting on the PCB. This converter features a built-in colour bar and input auto detection. For more information please Click Here.